The Foxfield Railway was built in 1892-1893 to provide a link to the North Staffordshire Railway for the Foxfield Colliery. The railway was built by local labour provided by North Staffordshire Railway employees at weekends and supervised by the North Staffordshire Railway foreman plate layer Noah Stanier, using second hand material, again obtained from the North Staffordshire Railway. When the colliery closed in August 1965, local volunteers formed the Foxfield Light Railway Society to preserve the line. At first, passengers were taken in converted trucks up the formidable 1:19 to 1:26 gradient out of the colliery site at Dilhorne, accompanied by a tank engine. Eventually, new coaches were purchased and a station was built at Caverswall Road, Blythe Bridge, half a mile from Blythe Bridge station. The service runs for 2 1⁄4 miles (3.6 km) from there to the top of Foxfield Bank. The last half mile into the colliery is currently being relaid to suitable standards for passenger trains to be re-introduced. 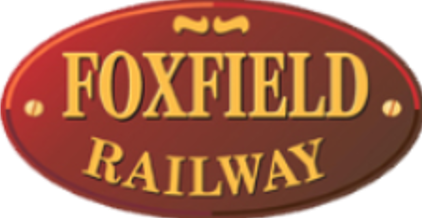 Since forming as a society in 1967, The Foxfield Light Railway Society has gone through significant periods of change and has seen significant successes in it's time. After originally starting out with an operation based out of Foxfield Colliery, We're now working to return our passenger operation to the site. 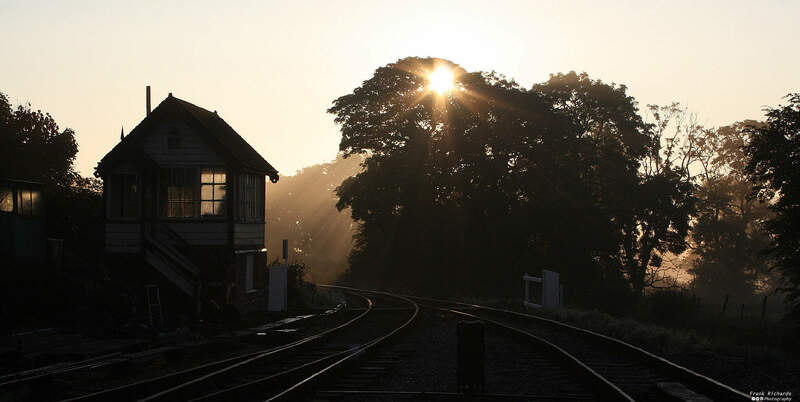 A major success for the railway was in 2009 when the BBC filmed their Christmas special of 'Return to Cranford' starring Dame Judi Dench - A TV appearance which bought national fame for Foxfield! Today's facilities at Caverswall Road Station include a station buffet serving hot and cold refreshments, A gift shop, a museum area holding locomotives and artefacts currently out of use and 'The One Legged Shunter' our real ale bar serving a range of beers, wines and spirits.